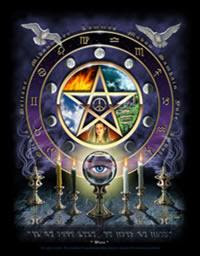 I got a call from the lovely event manager of Novotel inviting me to do Tarot Reading for one of their events. The event was about welcoming their new General Manager and the guests were top clientèle of Novotel Hotels, top honchos of various top companies of Hyderabad. The event was on Saturday evening and as I entered the venue hall I could sense the great crowd, music, food and drinks. As I shared the guest consist of all typical A type personalities : career oriented , successful and nothing seem to be enough for them. Every single one of them asked first question about their career.How is my career going? When would I get the next promotion? When would I make more money? All these questions are very important for them and I could really relate with them . What was amazing was that most of them were also concerned about their spouses career and work life balance. At this stage of life also they were open to learn more , grow more and do something different ! I think that what makes a acheiver. I don't want to divulge into more questions as part of respecting clients privacy , but only want to point out that no matter whether someone is successful or not , everybody has there own set of problems and we should always continue to grow and be open to new experiences.